no worries, click here and we'll send it to you. While many of the resources on RAB.com are open to the public, a number of the more advanced sales and marketing tools require a user id and password. This will be your EMAIL ADDRESS and password of your choice. Please enter your user id and password in the boxes. When you're ready, click LOGIN. 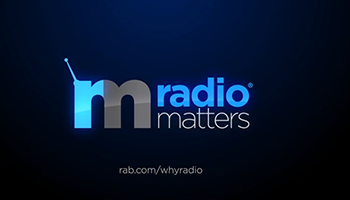 If you don't have a personal user id and password to RAB.com, you will need the MASTER ACCOUNT credentials for your station or company. These MASTER credentials allow you to set up your own personal access to RAB.com -- a personal account that is linked to the company where you are currently employed. Ready to Setup Your Personal Access? If you have your MASTER credentials and are ready to set up your own personal access, please enter the user id and password fields to the left. Once you have a personal USERNAME and PASSWORD, you will use it every time you visit RAB.com. Don't Know Your Master Credentials? The easiest way to get the MASTER credentials is to simply ask your manager. If you still can't locate your master credentials, CLICK HERE and a member response consultant will email them to you and copy your manager. RAB Member Response is open Monday-Friday from 7am-5pm CDT. Call us at 1-800-232-3131 or email member_response@rab.com. Access to the secure areas of RAB.com is limited to those radio stations and groups that are members of the Radio Advertising Bureau and companies such as advertisers, agencies, public relations organizations, investors and analysts with an interest in Radio. For more information and qualifications, please contact RAB at 1-800-232-3131.